You can count on dependability with the Land Rover line-up of luxury vehicles. That means a gently pre-owned Land Rover or Range Rover can be a great option when you are shopping for a capable and affordable SUV option. At Land Rover Colorado Springs you get can get a fantastic 2017 Range Rover Evoque SE Premium today! This low mileage four-door SUV in our Approved Certified Pre-owned inventory was formerly part of our Service Loan fleet of cars and is now looking for a full-time owner! All our Approved Certified Pre-owned vehicles come with a 5-year/100,000-mile warranty so you get a long period of protection and coverage for no matter what situation might come your way! So, feel free to enjoy the premium package of this Evoque, and the impressive 21 MPG city/29 MPG highway estimated fuel economy! 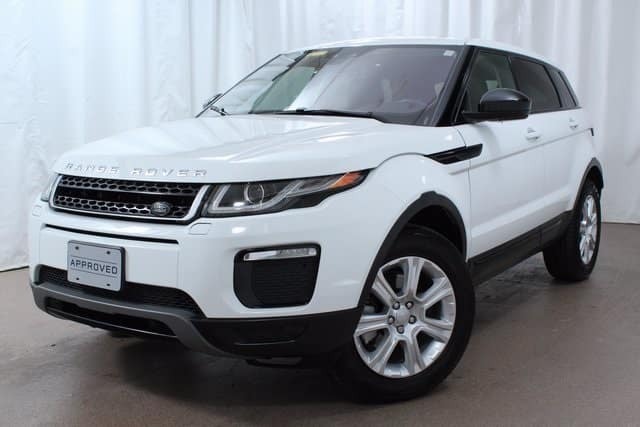 If this 2017 Range Rover Evoque sounds like the perfect vehicle for you, then make sure you come in to Land Rover Colorado Springs and ask about how you can own it today! This capable SUV is priced to sell quickly at just less than $42,000.